TOLSA, a supplier of special additives for the wire and cable, construction, transport, and electronics industries, will highlight the latest advancements in flame retardant additives for the wire and cable market at the upcoming NPE2018. The company will present its new technical developments for the ADINS range of high-performance flame retardant (FR) synergists. TOLSA’s ADINS range of flame-retardant additives are based on a breakthrough technology using natural silicates, offering tailored performance benefits and making it possible to replace part of the high-loaded flame retardant system allowing better processability. ADINS Clay works with standard wire and cable formulations based on halogen and halogen-free solutions. ADINS flame-retardant synergists have revealed to be very efficient in HFFR systems based on EVA/PE and alumina trihydrate (ATH) and/or magnesium hydroxide (MDH). But among the latest developments, TOLSA has confirmed important advantages when using the ADINS range of additives in other base polymers including rubbers and silicones, broadening the field of application for these technical solutions. In wire and cable applications, TOLSA’s ADINS additives have shown significant improvements in fire retardancy in polymer matrixes based on silicones and rubbers (EPDM). In rubber systems, ADINS Clay 80T additive has shown strong impact in smoke and heat release and has been validated with different customers. ADINS Clay 80T is currently marketed in rubber matrices for cable applications and also in the transport industry including plastic parts for trains. There are other specific additives within this range, including ADINS Clay MS, which is based on a modified natural silicate with a low melting point glass. In silicone matrixes, TOLSA has also made strong inroads with ADINS Clay 15 additive for wire and cable uses in trains. 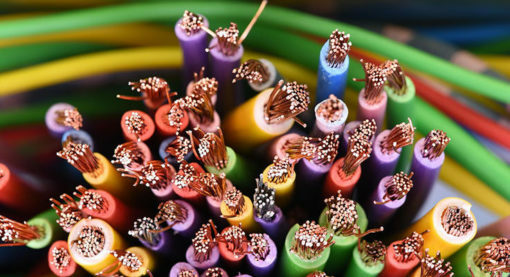 “These are important developments that will bring significant performance advantages for halogen and halogen-free flame retardant systems in the wire and cable industry,” said Dr. Antonio Esteban, Technical Manager for TOLSA’s Specialty Business division. TOLSA is looking to complement its special additives portfolio for wire and cable by developing additives for chlorinated polyethylene (CPE). Preliminary studies with ADINS additives have shown good fire retardancy performance and reduced smoke production and ATO content. During 2018, Tolsa will complete its study with formulation readjustments. Available in the U.S., ADIN additives are sold as a powder or can also be supplied as a masterbatch.